Everybody loves dogs! 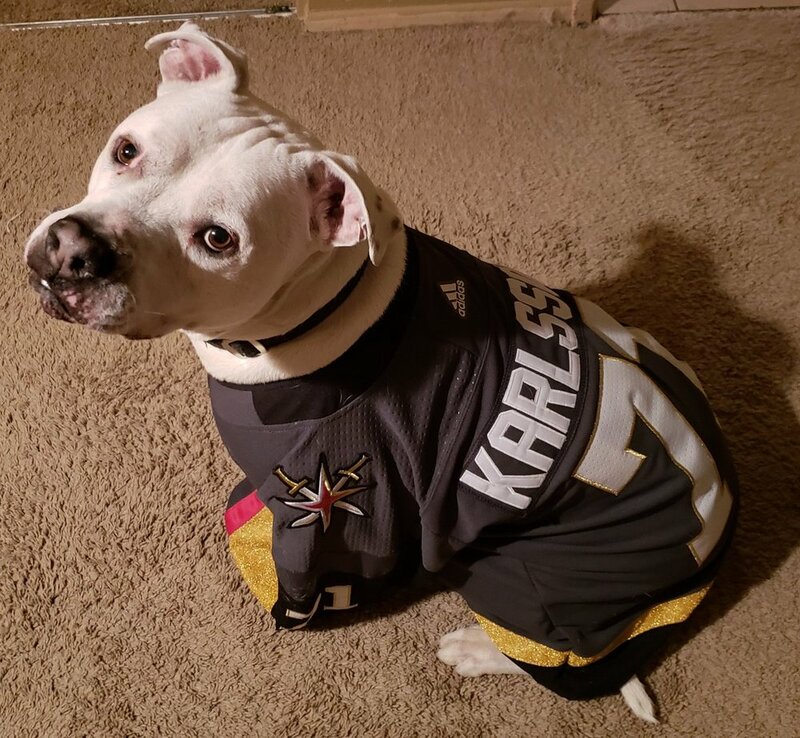 Especially dogs dressed in Vegas Golden Knights gear that love the Golden Knights. As the inaugural season kicked off, furry fans got dressed up to cheer on their favorite team. Some dogs around town were even named after their favorite Vegas Golden Knights players. Marc-Andre Fleury met his biggest furry fan, Bark-Andre Furry, after a Golden Knights practice. The Las Vegas Metropolitan Police Department adopted a new pup for the canine unit. His name is ‘Knight’ and we know who he is cheering for. Yes, goalies love dogs, especially small furry dogs. Marc-Andre Fleury and Malcolm Subban give some goalie kisses to a Pomeranian after practice. Bow ties and bandanas are the best. Even more so when they are Vegas Golden Knights bow ties and bandanas on cute pups.